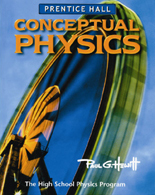 Authored by Paul Hewitt, the pioneer of the enormously successful "concepts before computation" approach, Conceptual Physics boosts student success by first building a solid conceptual understanding of physics. The Three Step Learning Approach makes physics accessible to today's students. Exploration - Ignite interest with meaningful examples and hands-on activities. Concept Development - Expand understanding with engaging narrative and visuals, multimedia presentations, and a wide range of concept-development questions and exercises. Application - Reinforce and apply key concepts with hands-on laboratory work, critical thinking, and problem solving.